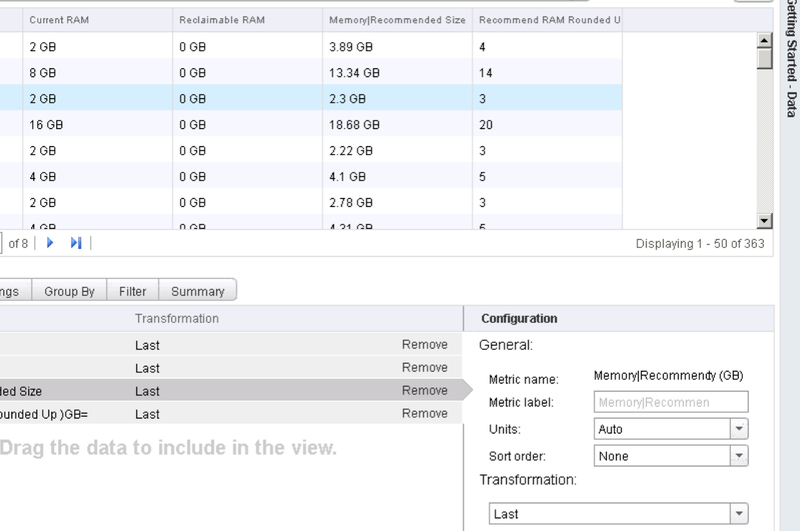 This week I have been playing with vRealize Operations Manager SuperMetrics. The super metric is a mathematical formula that contains one or more metrics. It is a custom metric that you design and is useful when you need to track combinations of metrics, either from a single object or from multiple objects. If a single metric cannot tell you what you need to know about the behavior of your environment, you can define a super metric. This week a client asked for a report that showed the reclaimable RAM but was concerned that as it was going to senior management they didn’t want the ram showing to 2 decimal places but wanted to round out the number. By default this is not available but this is where our friend the Super Metric comes into its own. Tagged Supermetrics, vRealize Operations Manager, vROPS, vSphere6. Bookmark the permalink. FYI, there are 1048576 KB in a GB not 1024576. Andrew, thanks for the correction good spot!